This is the download version, the compressed file size is 38GB. Please ensure you have a fast, uninterrupted web connection, otherwise we recommend you buy the boxed USB version instead. 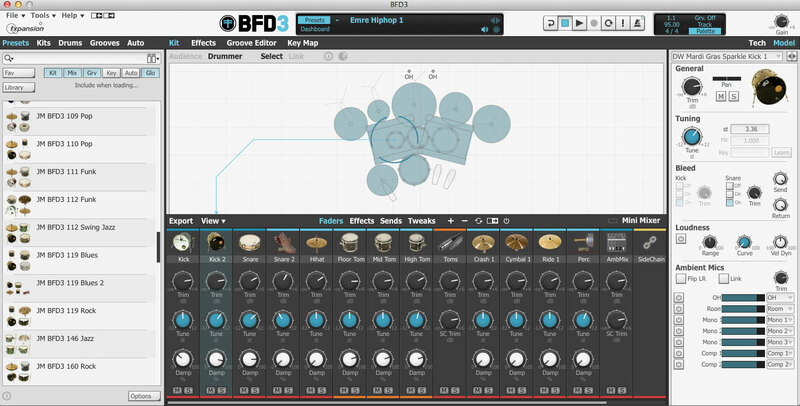 BFD3 is designed to sound great while offering as much depth as you need. 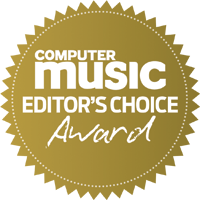 Browse for entire presets, quickly compile custom kits or mould any drum sound you desire by retuning, damping and processing multiple mics with the powerful internal mixing engine. 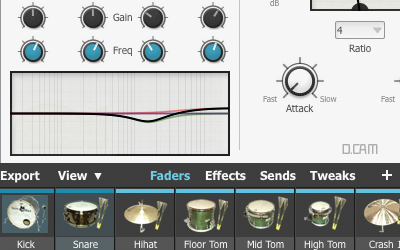 The built-in Groove section offers a versatile range of session drummer performances alongside pattern editing and creation functions. 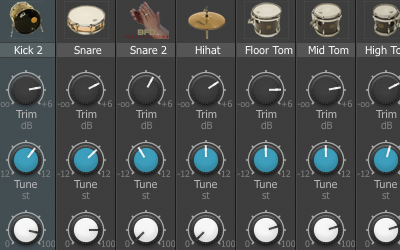 Select from a wide range of musical drum rudiments and paint your own realistic parts. 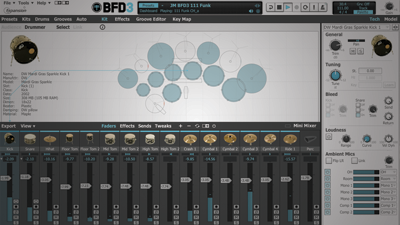 With detail levels of up to 80 velocity layers, rim-clicks and rim-shots for toms and bells and splashes for hihats, BFD3's sounds are more expressive than ever before. 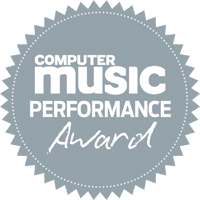 The library's 160GB of audio data is squeezed into 55GB thanks to BFD3's lossless compression system meaning less space usage and playback strain on your hard disk. 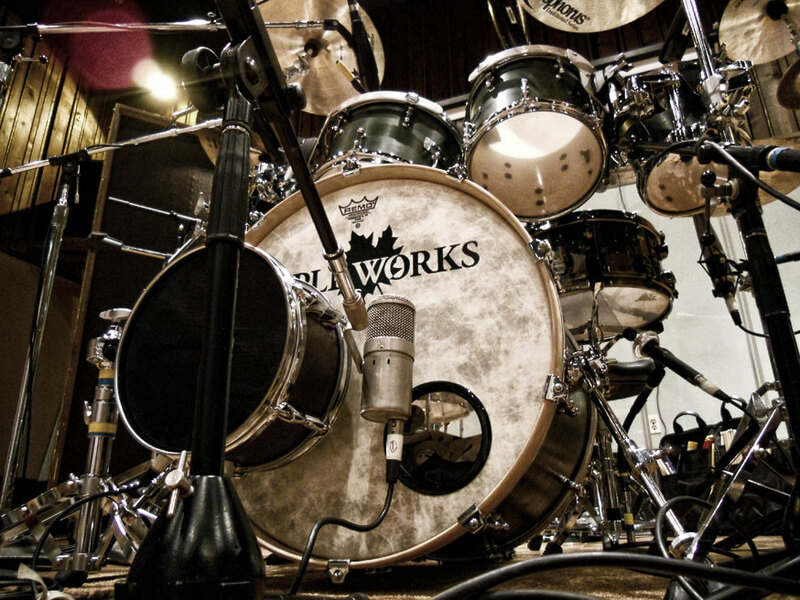 4 of the included kits are recorded in LA's Ocean Studios and feature additional mono room and hardware-compressed channels in addition to stereo overhead and room mics. 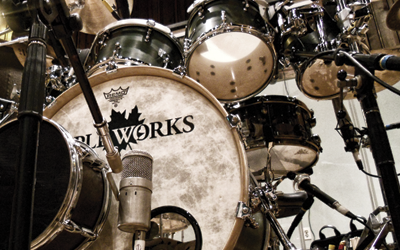 The remaining 3 kits are stick, brush and mallet versions of a custom Mapleworks kit recorded in a tight but vibrant room at Omega Studios in Rockville, Maryland. 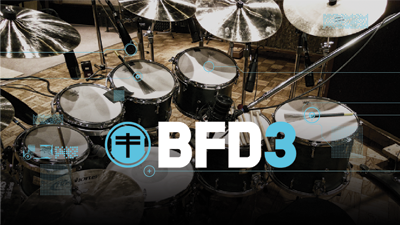 BFD3 introduces modelled tom resonance and bleed which provides a natural-sounding 'glue' which blends the sound of the kit together. The modelling varies with the characteristics and tuning of any combination of drums - something that cannot be achieved only by using samples. 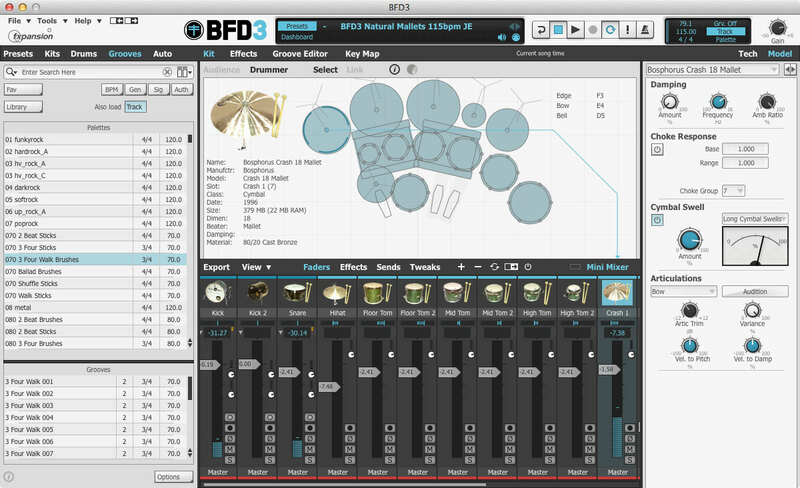 BFD3 also includes improved dynamics matching across drums and a swell-modelling algorithm for more realistic cymbal washes. These features can be applied to your existing BFD libraries if you're upgrading (and to any expansion packs you buy in future). 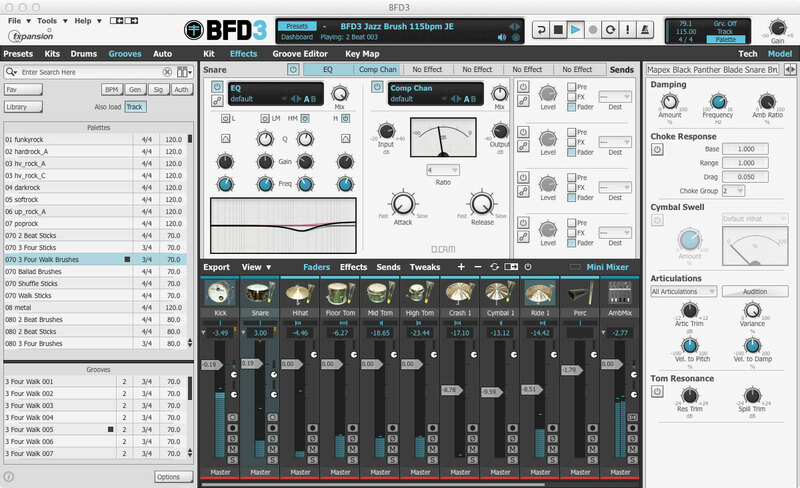 The internal BFD3 mixing engine has DCAM-modelled compression, filtering and other effects alongside great-sounding EQ and algorithmic reverbs. 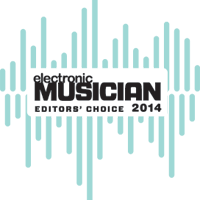 You can even use an external signal as a compression sidechain source. 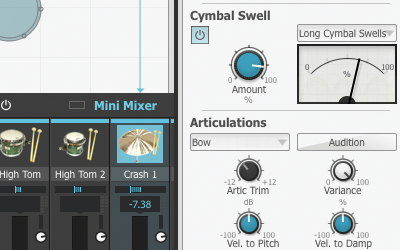 New workflow enhancements let you hide multiple drum and ambient mics for simpler mixing approaches and it's easy to route multiple channels to discrete outputs for processing with other plugins or outboard gear. 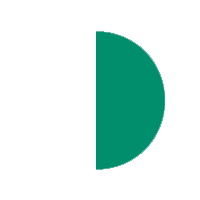 BFD3 even provides multi-channel audio export direct to disk. 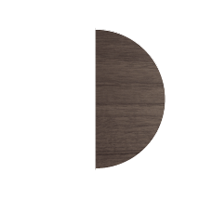 Grooves can be exported using drag and drop - perfect for compiling loops. Upgrade versions must be registered to the same account as that containing your BFD2, BFD Eco or BFD Eco NFUZD registration.